In the last week before the US election, a storm of almost unprecedented violence (Hurricane Sandy) caused great devastation and loss of life, especially in New York and New Jersey. The election was held on Tuesday 6 November, and a day or two later a second storm created further disruption in the same areas, with some people having to leave their homes for a second time. “Several of the States that will overwhelmingly vote for OBAMA were FLATTENED last night by the WRATH OF GOD. What does that tell ya? The fact is, and it is painful to say, but the fact is that Hussein Obama is doing a FINE JOB of destroying an Apostate sinful depraved nation that has abandoned GOD. Obama campaigns on Immorality and the Pagans love him! He promises to be the most evil, the most Anti-Christian most immoral leader in the world and they cheer. After the election result, and the second storm, Carpenter must now be even more certain (s)he is right. But the same claim, more or less, though much better expressed, was made after another election over 2400 years ago. In the latter part of the year that we know as 425 BC, the Athenian politician Cleon was on the crest of a big wave. He had recently gained a spectacular success as a military commander by defeating the Spartans at Sphacteria and taking 292 prisoners (who could be, and were, used as hostages to deter Sparta from further invasions of Athenian territory), thus severely shaking the widespread belief that Spartan soldiers were more or less invincible and would always die rather than surrender. In February 424 was held the usual annual election of ten generals, and Cleon was among those chosen. 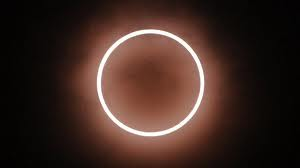 A month or two later there was an annular eclipse of the sun, followed after a few days by an earthquake; there had already been a total eclipse of the moon the previous October. Cleon was never (so far as we know) convicted of anything. Aristophanes put him on stage again, this time as a lazy, blackmailing dog, in The Wasps early in 422; that summer, once again a general, Cleon was killed on campaign, leaving Aristophanes to dance on his grave in his next play, Peace (spring 421) in which, most unusually, more is said about the dead Cleon than about any living public figure. What goes wrong in Euripides’ Bacchae?